As the mother of a 26-year-old son, who’s spent a good part of his teenage and young adult life partying until the sun comes up, I know more than I ever wanted to about alcohol blackout syndrome. 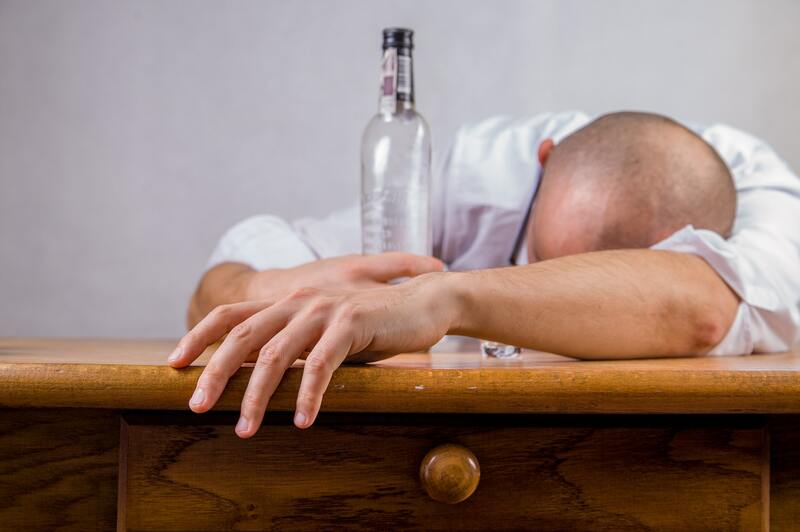 Blackouts, or alcohol induced amnesia, often occur when someone binge drinks or consumes a large amount of alcohol in a relatively short amount of time. Blacking out is not the same as passing out. Someone with alcohol poisoning can either pass out or they can experience a blackout. Alcohol poisoning occurs when alcohol is consumed at such a rapid rate the body can’t keep up. Blackouts are a form of alcohol induced amnesia. During the blackout, the drinker is still able to walk, talk, drive a car, get in fights and more. But, once they sober up (wake up) the next day or the next week (blackout episodes can last for days), they have no memory of what happened or what they did during the blackout episode. Blackouts are more common in binge drinkers and young adult drinkers. Blackouts are also more common in women than men. This may because of their lower body weight, or other genetic factors. Because the blackout drinker has no memory of the incident it is hard for them to feel any kind of remorse for their actions. There are possible legal and financial concerns if the alcoholic participated in illegal activities during the blackout period. That’s the one I have personal experience with – my son was, and is possibly still, a blackout drunk and it has gotten him into trouble in the past. He thinks he’s invincible and can party as long and as often as he wants but, nothing could be further from the truth. My son has a lot of anger issues, which are only exasperated by alcohol. When he has a blackout episode he says and does things he has no recollection of doing. But his victims remember, and on at least one occasion, they pressed charges. During one of his blackout incidents he beat up another kid. He doesn’t remember anything but his victim did and he told his father what happened and his father decided to press charges. He ended up in a lot of trouble and almost ended up doing jail time. But he was basically gifted with a get out of jail free card if he followed the plan laid out for him. This was quite amazing considering there was video tape from a couple of retail establishments that pretty much caught the entire episode on tape. He was also told to stop hanging out with the bad influencers in his life – his friends that misuse drugs and alcohol a few of which also have a criminal record. But, that was a hard thing to enforce. Unless my ex-husband and I hired a private investigator how would we ever know if he was still hanging out with those friends (he was). Even though my son didn’t end up going to jail, there is a permanent record of his arrest. So, that means he can never apply or ever hope to work for any kind of government job – so his onetime plan to join the Coast Guard was not going to be a possibility. Then he thought he would go to school to learn how to become an EMT, but this was a no go too once they ran his background check. Long term consequences of blackout drinking can include permanent brain damage, permanent memory loss and difficulty forming new memories. All because of a drink, a single drink, which leads to 2 or 3 or who knows how many it takes before another blackout occurs. They don’t remember how much they drank, they don’t remember what they drank, they don’t remember what they did when they blacked out but they keep on drinking – tomorrow, next week, next year – there’s no way to know when will it stop. I’ve read reports where individuals who’ve suffered a head injury at some point in their life were more susceptible to having a blackout later in life.3 Well, that could be part of why my son suffers blackouts when he drinks. He fell off the back of a go-cart when he was younger and literally cracked his head open. It was a pretty serious injury and he ended up spending 12-days in the pediatric stepdown unit (right next to the ICU trauma unit) of a local hospital that was luckily only a mile from our home. So, there is possibly some sort of correlation between his head injury and his later alcohol induced blackouts. All I can do, as a parent, is to continue to love and support my son and hope that someday, by some miracle, he decides to give up alcohol. The only certain prevention against blackouts is to not drink in the first place. There is no way to determine the exact amount of alcohol that will trigger a blackout. If you or your loved one needs help with drug or alcohol addiction, reach out to a facility that specializes in addiction treatment and get started on the road to recovery. 1. National Institutes on Alcohol Abuse. NIH News. Single episode of drinking linked to gut leakage and immune system effects.